LAS VEGAS (June 20, 2018) – The Las Vegas Rescue Mission, a nonprofit that provides aid to the homeless and hurting members of the Las Vegas community, recently announced the hiring of Heather Engle as its new CEO. 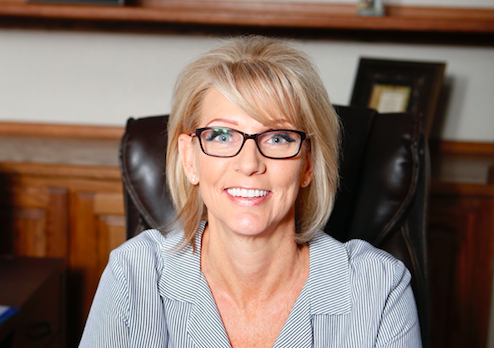 Engle is the first female CEO in the nearly five-decade history of the Las Vegas Rescue Mission. In her new position, Engle will oversee all aspects of the organization including government and community relations, procurement of donor gifts, and resource development planning, recovery & shelter services and programming. Engle studied business, marketing, and psychology at the University of Nevada, Reno. The Las Vegas Rescue Mission has been assisting homeless men, women and children in the community for nearly five decades. Since our beginning in 1970, the Mission has been providing food to the hungry every day, shelter to the homeless, and an addiction recovery and back-to-work program for those who have lost their way. The Mission started with a small storefront building that included the chapel, kitchen and shelter that was able to house a few men. Today, the Mission campus takes up two city blocks in Downtown Las Vegas, helping hundreds of men, women and children daily, and providing approximately 30,000 meals each month. As a nonprofit Christian organization, the Mission receives no government support, except for a small grant specifically for food. It provides services to all people without regard to race, color, creed, national origin, age, gender, religion or disability.